A Study in Selfies. Text and photos by Mobile AL writer and photographer Adrian Hoff. Published Mobile Bay Magazine, September 2013. 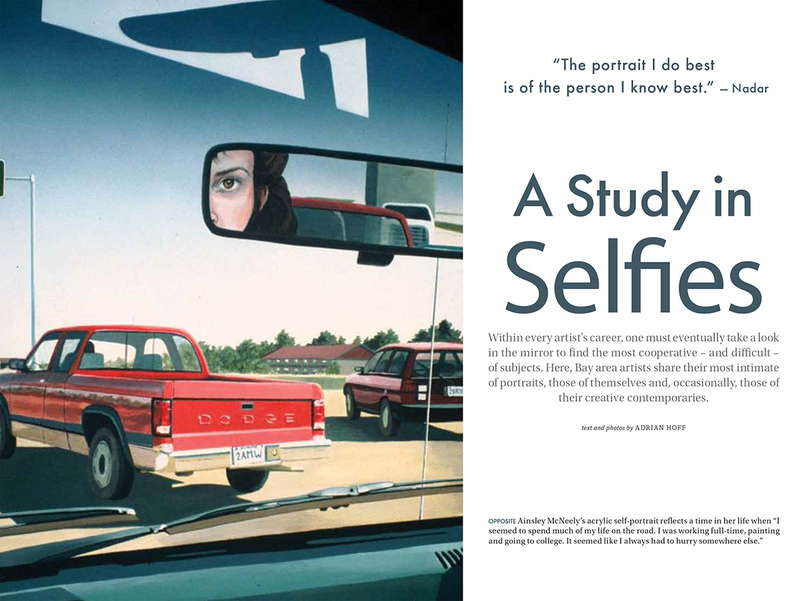 Within every artist’s career, one must eventually take a look in the mirror to find the most cooperative – and difficult – of subjects. Here, Bay area artists share their most intimate of portraits, those of themselves and, occasionally, those of their creative contemporaries.